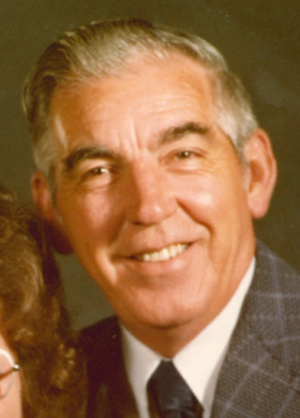 Mack D. Rupard, 95, of 183 Chestnut Street, Landisville, passed away on Sunday, February 10th, 2019. He was born on January 5, 1924 in Chilhowie, VA. He played basketball for his high school and married his high school sweetheart. He served on a B17 in WW2 where he was shot down behind enemy lines and later survived a mid-air collision. Upon his return stateside, he worked for NCR from which he retired after 39 years of service. An avid golfer, he played many rounds with friends and family. He was preceded in death by his first wife, Helen Tucker Rupard, who passed away in 1991, after 47 years of marriage. He and his second wife, Lorraine, loved to travel and took many trips with Guys and Dolls. He will be lovingly missed by his wife of 13 years, Lorraine, his daughters, Linda, wife of Dale Gillette, and Debra, wife of Kirk Ament , and his step-son, Steven, husband of Patricia Reese, as well as by his 4 grandchildren, Greg, husband of Kelly Gillette, Elizabethown, Brian, husband of Sabrina Gillette, Lancaster, Kelly, wife of Fred Kilheffer, Palmer, AK and Alyssa Ament, Anchorage, AK, and her fiance, Andrew Krosbakken, Anchorage, AK. He is also survived by 6 great grandchildren, Annalise Kauffman, Juliana Gillette, Cole Gillette, Mila Kilheffer, Halle Kilheffer and Maclen Kilheffer. In addition, he is survived by 2 step-grandchildren, Lara, wife of Kevin Kreider, and Michael, husband of Erin Reese and 4 great step-grandchildren, Luke Kreider, Julianna Kreider, Nora Reese and Keller Reese. Relatives and friends are invited to attend a memorial service on Saturday, February, 16 at 11 AM at Chestnut Hill Mennonite Church, 4050 Marietta Avenue, Columbia, PA. The family will receive guests one hour prior. In lieu of flowers, contributions may be sent to Hospice and Community Care, Mount Joy, PA.
My thoughts are with your family. Your father was certainly a great man, I loved hearing your stories about him, Deb. He certainly lived a good and faithful life.